Landscape architect Carolyn Bennett will present “Saving Our Gardens – Honoring Our Past” at Laguna Beach Garden Club beginning at 9:30 a.m. Friday, March 11, in Tankersley Hall, 415 Forest Ave.
Bennett, who owns CDB Gardens consulting firm in Santa Monica, will use photographic images to help explain the complexity of historic garden conservation. About 30 Top of the World families are gearing up to participate in a neighborhood garage sale Saturday, Feb. 27, from 8 a.m. to 1 p.m. The public is invited to help St Mary’s Episcopal Church paper its walls with hearts, representing lives saved with donations to fund mosquito nets for residents in Africa. 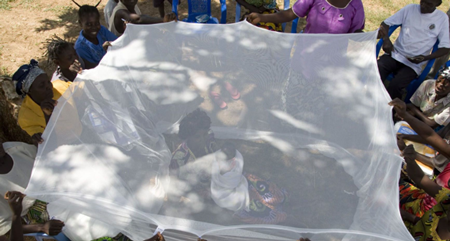 Nets for Life, a lenten outreach initiative through March 27, is run by Episcopal Relief and Development, which provides insecticide-impregnated mosquito nets for countries of sub-Saharan Africa. Each net cost $12 and saves three lives. Malaria kills hundreds of thousands every year, the majority of them children under the age of 5. For every $12 donated, three hearts representing three lives saved will be added to posters in the church. Consider joining the effort by sending a check to St. Mary’s with “Nets for Life” on the memo line, at 428 Park Ave., Laguna Beach, Ca., 92651. More info: 949 494-3542 or [email protected]. The uphill side of the Third Street hill, closed daily for sewer construction, will reopen on the weekends and at 5:30 p.m. on weekdays, says the city manager’s weekly report. The downhill side of Third Street hill and the westbound lane on Mermaid Avenue, between Second and Glenneyre Streets, will remain closed through the end of March. Traffic control personnel will help direct traffic flow throughout the downtown area. Call the project hotline at 949 464-6686 or visit www.clbwq.net for more information. Emily Atwood, a junior at Laguna College of Art and Design, created the winning design logo for the XI Grapes for Grads fundraiser. “The heart of this event is dear to me because I am able to pursue my dreams at art school,” Atwood said in a statement. This year’s event is set for 12-4 p.m. Sunday, May 1, at Tivoli Too, 777 Laguna Canyon Rd.